Every Gardenart outdoor piece of furniture tells a unique story of talent and innovation. An object, a style or a landscape can become a powerful source of inspiration for the designer. Hence the creation of collections that stand apart in terms of design, personality, materials and use. The emblem of quality and comfort. Durable wrought aluminum frames with painted tempered glass top / aluminum slat top / honey comb aluminum top / teak wood top overlay are varies choice of Gardenart’s tables. 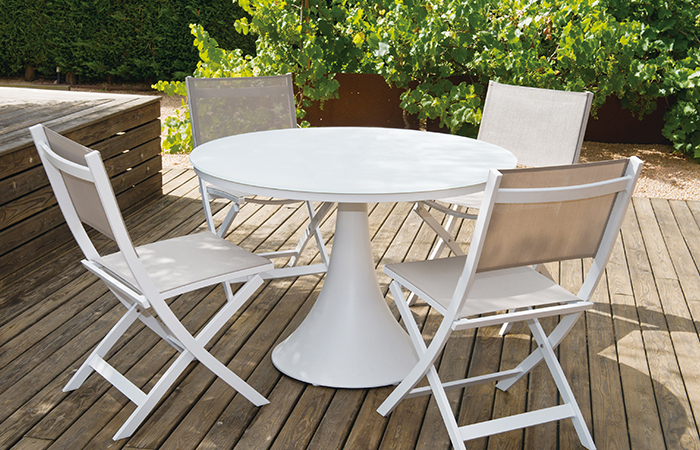 Except the top material, Gardenart tables can also be distinguished by their functions. We’re offering dining tables, extendable tables, bar tables, coffee tables, side tables, folding tables as well as picnic tables. 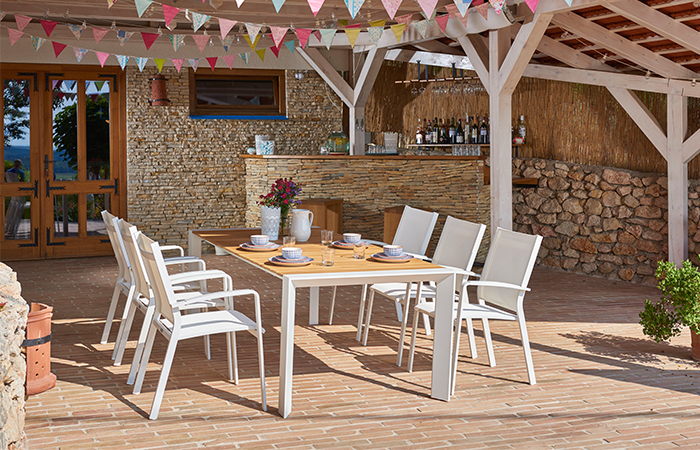 Modern design and the latest trend material can bring the outdoor table indoor with out any sense of violations.